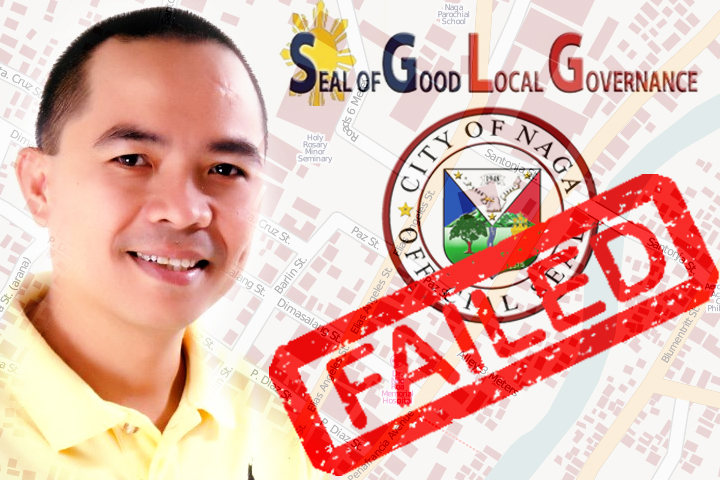 NAGA CITY— Councilor Nathan Sergio did not mince words when he expressed his dismay and indignation over Naga City’s failure to earn the Seal of Good Local Governance (SGLG) from the Department of the Interior and Local Government (DILG) this year. “Anong nangyari?” (What happened?) he demanded in his privilege speech Tuesday at the Sangguniang Panlungsod. This was the first time in history, he said, that Naga City was unable to receive said award. He called the failure a shameful affront and a slap on the face on the city officials, barangay officials, and even the department heads of the City Hall, especially because Naga City trumpets itself as a center of good governance. The councilor drew attention to how visitors from other LGUs, and even other nations, would visit the City Hall to study how the local government is run, in the hope of replicating its practices. In response to Sergio’s speech, Councilor Gabby Bordado admitted he felt disappointed at the failure as well. He added that an immediate review of the cause of the city’s inability to get the award is in order. Naga City’s failure was due to its poor implementation of the Social Protection criterion, as observed by the DILG’s assessment teams. Social Protection refers to “[sensitivity]” to the needs of vulnerable and marginalized sectors of the society like Women, Children, Indigenous People and Persons with Disabilities,” according to DILG’s primer on the SGLG. The city, however, received passing marks in the other assessment areas, including Good Financial Housekeeping , Disaster Preparedness, Business-friendliness and Competitiveness, Peace and Order, and Environmental Management. In the same primer, the DILG explains that an LGU needs to pass the three assessment areas, which includes Social Protection. “Recognizing diversities, assessment criteria vary by LGU level and income class. Assessment draws from the primary data and secondary (certified) data from other agencies. National and sub-national validations are to take place. Validation approach includes document inspection, on-site visit, and/or interview,” the primer adds. This year, only 17 out of the 120 LGUs in the Bicol Region received the SGLG. This morning (September 30), Vice Mayor Nelson Legacion and City Administrator Florencio “Jun” Mongoso called for a press conference to announce they have filed a protest against the DILG evaluators.